As long as we’re talking about building walls to keep illegal immigrants from streaming into our country, let us ponder some things. My wife wondered recently about the proposed Trump Wall along our southern border. “What does Donald Trump propose to do about those who would tunnel under the wall?” she asked. Good question, Girl of My Dreams. What does Trump propose for the wall and how deeply does he want to sink it into the dirt along our 1,900-mile-long border with Mexico? Ten feet, 20 feet, 30 feet … 100 feet! Has he heard about how the infamous drug kingpin El Chapo dug his way out of that maximum-security prison in Mexico? OK, so Trump has been joined in the Build-a-Wall chorus by Wisconsin Gov. Scott Walker, who said over the weekend it’s worth considering a wall between the United States and Canada. That one would be roughly double the length of the Trump Wall. Remember that we have a significant border with the Canadians along our Alaska state line. So, not only would a U.S.-Canada wall stretch 3,000-plus miles along our countries’ east-west border, it would go another 1,200 or so miles north and south from the southern tip of the finger of Alaska that deeps south to, um, the Arctic Ocean — wa-a-a-ay up yonder. And while we’re on the subject of the northern border, Gov. Walker, what are you going to do about some shared attractions? 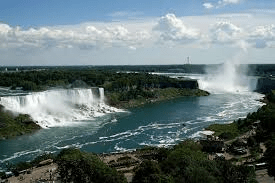 Niagara Falls — which my wife and I visited in 2011 — comes to mind immediately. This wall-building rhetoric is easy to throw out there. It gets applause and cheers from the Republican Party faithful. However, this nonsense requires some serious thought … which we have not yet heard from any of the people who want to be president of the United States. Texas Democrats … wherefore art thou? Ross Ramsey is as smart a Texas political analyst as they come. Thus, his analysis of the moribund state of the Texas Democratic Party is worth your time to read. Democrats nowhere to be found. The Texas Tribune editor hits out of the park. His thesis basically is this: If Texas had a viable two-party political system, the big mistakes being made by two statewide Republican officials would become immediate fodder for the opposing party. He references Texas Attorney General Ken Paxton and Texas Agriculture Commissioner Sid Miller. 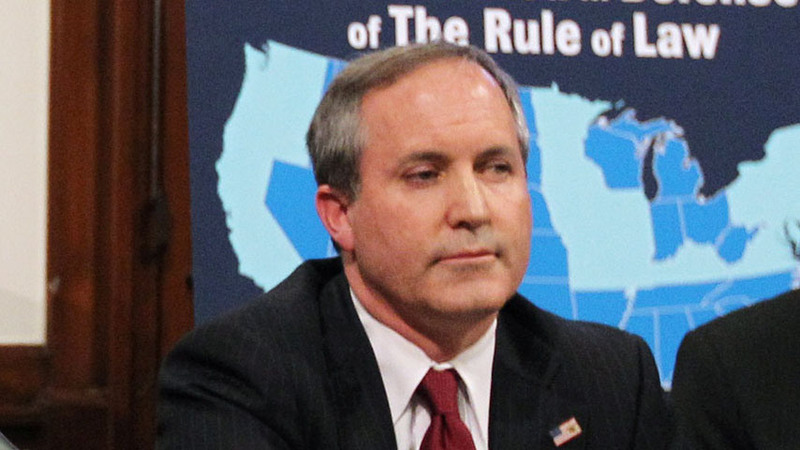 Paxton’s been indicted for securities fraud by a grand jury in his home county … that would be Collin County. When you’re the king of the mountain, by golly, you can say and do almost anything in a one-party state. There once was a time — it seems like an eon or two ago — when foreign policy decisions weren’t divided along party lines. Those days are gone. Maybe they’ll be back. Eternal optimist that I am, I remain hopeful for a return of sanity in our federal government. The Iran nuclear deal is the most glaring example I’ve seen of how partisanship now supersedes national unity in the face of threats from adversaries. U.S. Sen. Jeff Merkley of Oregon, became the 31st Democrat to endorse the deal brokered by Secretary of State John Kerry and officials from five other great powers. Its aim is to prevent Iran from developing a nuclear weapon. Iran has insisted it intends only to provide energy for its people; of course, no one believes that. Congressional Republicans appear united in their opposition to the deal. Democrats are mostly united in favor of it, although some have declared their intention to vote “no” when the issue comes up for a vote. We cannot predict the future with absolute certainty, he said. Is the deal perfect? No, but then again, when have we ever struck the perfect foreign policy agreement with anyone? 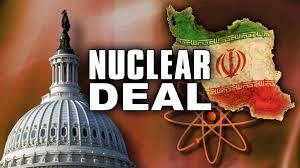 The agreement aims to derail whatever intentions the Iranians have of developing a nuclear bomb. It allows inspections of sites. It dismantles centrifuges. It allows the rest of the world to bring back strict economic sanctions if the Iranians are caught cheating on the deal. None of that is enough to persuade Republicans to back it. So, the world’s greatest military power is now showing to the world that its foreign policy team is being undercut by partisan political divides when it should be demonstrating an unflinching resolve to stand united against a rogue nation. It’s turning instead into a numbers game, with Democrats seeking to pile up enough votes to filibuster Republican opposition to the deal while also gaining enough votes to sustain a certain presidential veto of any GOP rejection of the deal. This is no way to conduct foreign policy. This doesn’t happen every day in county government. In fact, this is the first time I’ve seen it occur in more than 30 years observing politics and government in Texas. Randall County’s tax assessor-collector, Sharon Hollingsworth, only thought she was retiring this past week. She’s getting her old job back after the woman appointed to succeed her, Christina McMurray, decided she wanted to return to her old job in the county tax office. So, McMurray quit the tax assessor-collector job and Hollingsworth is returning to her post — albeit temporarily. She still plans to retire and go fishing with her husband. I spoke with Hollingsworth a few days ago when I learned of her plans to retire and she expressed joy at the prospect of getting on with the rest of her life. Well, it’s going to wait a little while longer. At least there’ll be no on-the-job training required for county’s newest tax assessor-collector. Weep not for the removal from the University of Texas-Austin grounds of a statue. 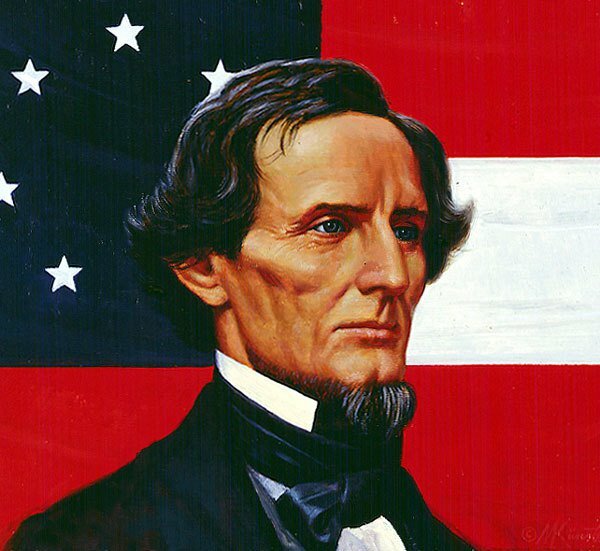 It is of Confederate President Jefferson Davis. The statue removal has been the subject of considerable angst at the campus. In the end, a judge said the statue could be removed. So today it was taken down, wrapped up, put on a truck and will be taken to the Dolph Briscoe Center for American History. It need not be shown in a public place where everyone — including those who could be offended by a statue depicting someone who led the secessionist movement in the 19th century. It’s one more action taken in the wake of that monstrous shooting in Charleston, S.C., of nine African-Americans by someone who allegedly declared his intention to start a race war. A young man has been charged with the crime and this young man is known to have racist views and has been pictured with symbols of the Confederacy. Do you get why the Jefferson Davis statue might be highly offensive, say, to many of the students and faculty members at UT-Austin? According to the Texas Tribune: “UT Student Body President Xavier Rotnofsky — who proposed the removal of the statue as part of his satirical campaign — said the fight is over and he is happy to see the statue being moved. Yes, Davis is a historical figure in the strictest definition of the word. He also was a traitor to the United States of America. Has anyone lately seen any statues, for instance, of Benedict Arnold? So, put Davis’s likeness in a museum, where it can be looked at and studied by those with an interest in the Civil War. And be sure it includes all the reasons that Davis and the Confederacy went to war against the Union in the first place. Ten years after the fact, Texans perhaps should take stock of a time when our state stood tall as our neighbors fled a savage onslaught. 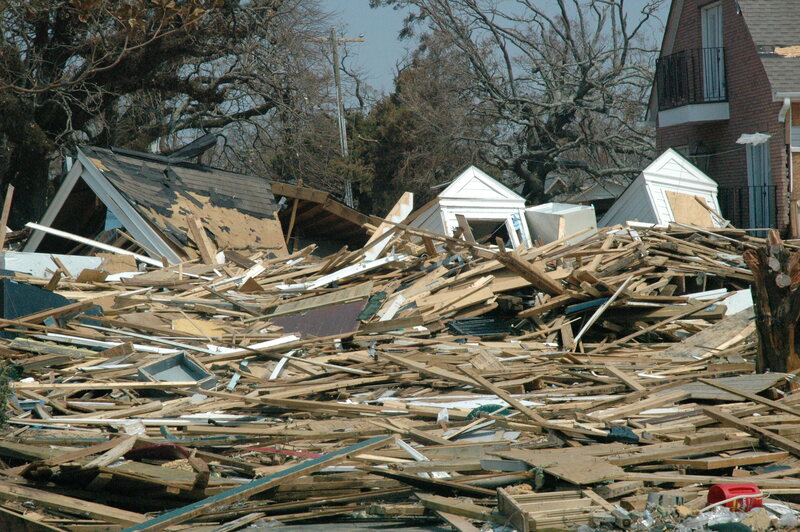 Hurricane Katrina killed nearly 2,000 Louisiana residents and drove many thousands more than that from their homes. And of those thousands who were displaced, many of them came to Texas. Most found refuge downstate. Some came to the High Plains. As Erica Greider writes in her Texas Monthly blog, the manner in which Texas responded to the crisis provided the state with one of its shining moments. Amarillo responded well during that time. We set up emergency quarters for the residents who came here. We gave them shelter, food, medical care, counseling services and placement advice as they sought to collect themselves after having their lives shattered by the storm’s wrath. It’s good that we don’t have to respond in such a fashion all that often. But when we do, it’s also good to know we are able and willing to answer the call for help. What did the PM know about bin Laden? Oh, how I wish I could be a fly on one of the White House walls when Pakistani Prime Minister Nawaz Sharif comes for a visit with President Obama. President Obama: Welcome, Mr. Prime Minister. But let’s get down to brass tacks, shall we? I know you weren’t in office on May 2, 2011 when our SEALs took out Osama bin Laden. But I have to ask, didn’t you get a full national security briefing from your predecessor when you took over? Nawaz Sharif: Well, yes, Mr. President. Of course. Obama: What did he tell you about bin Laden’s presence in Afghanistan, where our men killed him while he was hiding in plain sight in Abbottabad? Surely he knew bin Laden was there, right? Obama: Oh, stop right there. 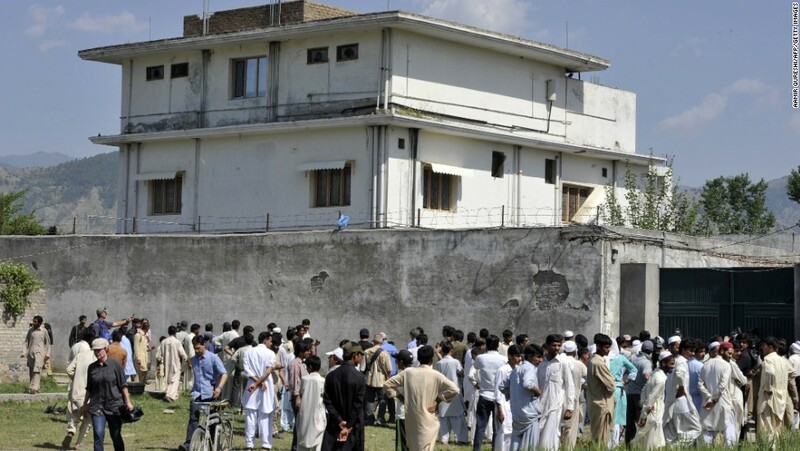 Everyone with half a brain in this country believes your government knew that bin Laden was in that large compound just a stone’s throw from that military academy. How could your intelligence folks have missed detecting his presence? Sharif: We don’t snoop and spy on everyone and everything in our country. Obama: Knock it off. This guy was the most wanted terrorist on the planet. The entire civilized world — and that include Pakistan — wanted him killed or captured. You operate a sophisticated intelligence network there. Sharif: It can’t detect every person’s move. Obama: But surely it can detect the movements of a man who stood 6 feet 5 inches tall and whose face has been plastered on TV screens around the world for a decade, ever since the 9/11 attacks. Sharif: If you think our government knew of bin Laden’s presence, is that why you launched the raid in secret, without ever telling us you were invading our airspace? Obama: Airspace … shmairspace, Nawaz. The bad guys invaded our airspace on 9/11 — and killed 3,000 innocent victims. Bin Laden took credit for doing that damage. Do I really care about airspace concerns? No. I wanted him dead and by God, we were intent on making sure we killed him. Sharif: Well, back to your initial question. I wasn’t told anything about bin Laden’s presence in Pakistan. Even if I was told, I cannot disclose national security secrets, not even to you. Will this conversation occur when the Pakistani prime minister visits the White House on Oct. 22? Oh, probably not. Then again, not every conversation occurs when there’s media present. I’m going to hope that Barack Obama presses his guest for some answers to the burning question: What did the Pakistanis know about Osama bin Laden and when did they know it? 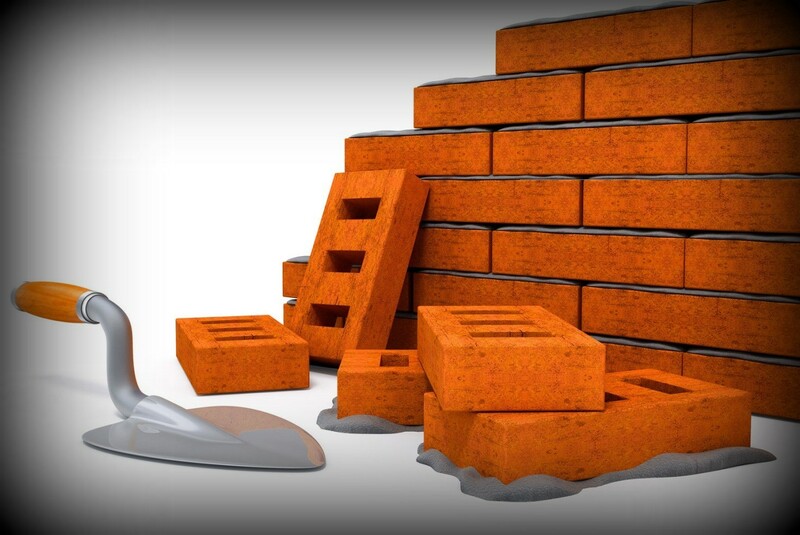 Let’s wall off entire U.S. … not! The wall that Donald Trump keeps yapping about might get a bit longer. The Republican presidential primary front runner wants to build a “beautiful” wall along our southern border. He says he can do it because he’s “good at building things.” It’ll run 1,900 or so miles. Now comes Wisconsin Gov. Scott Walker, one of the thundering herd of challengers seeking to catch Trump. He wants to out-Trump The Donald. How? He says he’s “open to the idea” of building a wall across our northern border, the one that separates the United States from Canada. It’s been the longest unsecured border in the world since, oh I guess maybe forever. While we’re at it, let’s build underwater obstructions along the Pacific, Atlantic and Gulf coasts. You know, the kind of things the Nazis erected along Normandy as they sought to fight off the D-Day invaders in June 1944? We’d need to keep shipping lanes open, of course. But if we’re going to “secure our borders in general,” as Walker suggested, then by golly, let’s go all in. Why not debate … in Amarillo? I’ve noted before in previous election cycles that the major political parties need to think beyond the norm when planning for debates between their presidential nominees. The norm in the past has been to select cities with large media markets. 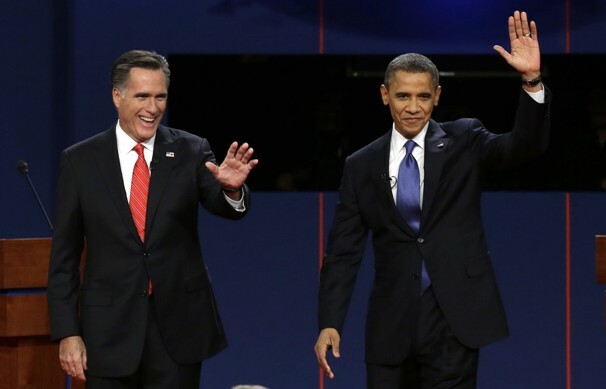 Sometimes the parties put these debates in cities and states where the race is competitive. Here’s a revolutionary thought: Why not stage one of these events right here, in little ol’ Amarillo, Texas? Hey, I know it’s a long shot. A pipe dream. I know it won’t happen. Then again, in this strange, goofy, unpredictable, topsy-turvy primary campaign — which on the Republican side is being driven by Donald J. Trump — well, anything seems possible. Look at it this way, Amarillo is a significant city in a significant state. One of Amarillo’s state lawmakers, Republican Four Price, said the other day that Texas’s economy all by itself is the 12th largest in the world. That by itself makes us a player. What might be the theme of a debate held in Amarillo? Energy policy ought to be front and center. I doubt, of course, that debate planners would build a two-hour televised event around energy policy by itself. But it does tie into the nation’s economy. How about foreign policy, given that we’re weaning ourselves of foreign oil? We’re becoming something of a trend-setter in the development of wind energy, one of those alternatives that gets some of the credit for the plunging oil prices around the world. We’ve got venues for such an event. The Civic Center is one. The performing arts center across the street is another. Why not look at the West Texas A&M University event center in Canyon? Consider this: No one ever thought that Donald Trump would be setting the pace in the race for the Republican Party presidential nomination. I’m just saying that this election is wild and crazy enough for Amarillo to get a serious look if the political parties here want to put together a formal request. You must hand it to Donald Trump. He hits every hot button there is to hit. And he doesn’t miss very often. His latest target if Huma Abedin, aka Mrs. Anthony Weiner. Abedin is a close adviser and confidante to Hillary Rodham Clinton, who’s being rocked by these e-mail revelations relating to the time she served as secretary of state. But it wasn’t so much Abedin who took the brunt of Trump’s latest trash-talking tirade, delivered Friday in Massachusetts. It was Abedin’s husband. 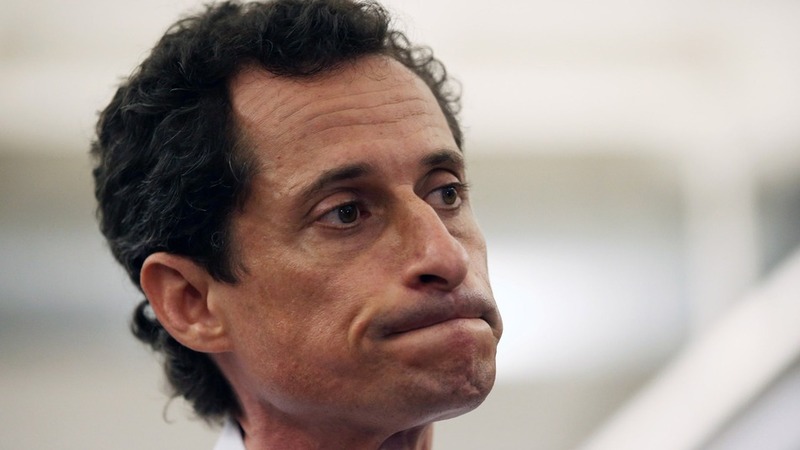 Former U.S. Rep. “Carlos Danger” Weiner, you’ll recall, was outed for sending pictures of his manhood through the Internet to women who aren’t his wife. He quit his congressional seat. He then ran for New York City mayor and lost badly. Weiner returns to public spotlight. I don’t think so. He’s a chump who got his thrills sending dirty pictures to women. Do not fret, though. Trump has energized a segment of the Republican Party that eats this stuff up.